This is a great Half Marathon/Marathon in mid-May. 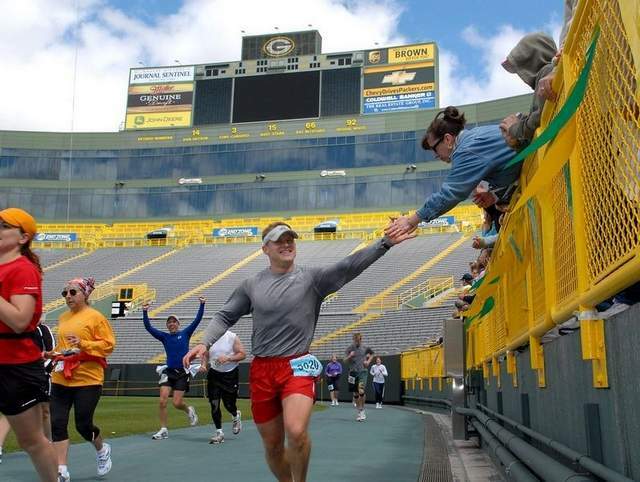 You finish by running around Lambeau field. It's an excellent event. 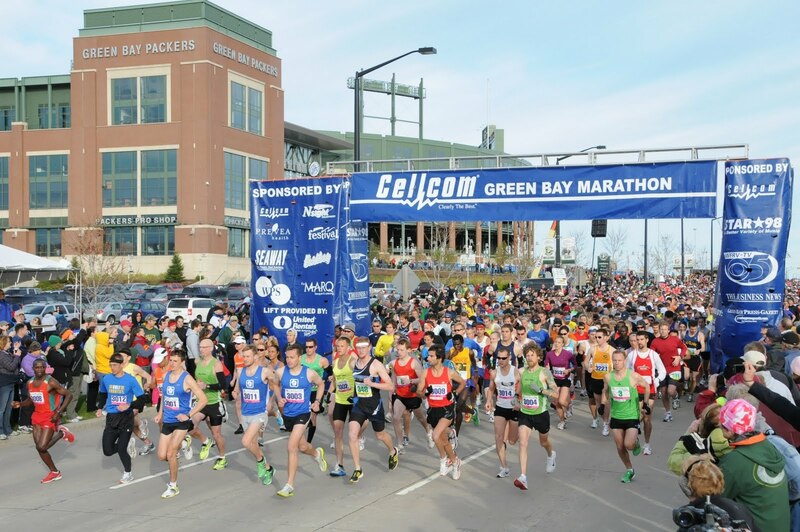 The Cellcom Green Bay Marathon and Half Marathon courses are considered to be fast and flat, by race industry comparisons. Both courses finish with a tailgate-themed party in the Lambeau Field parking area. 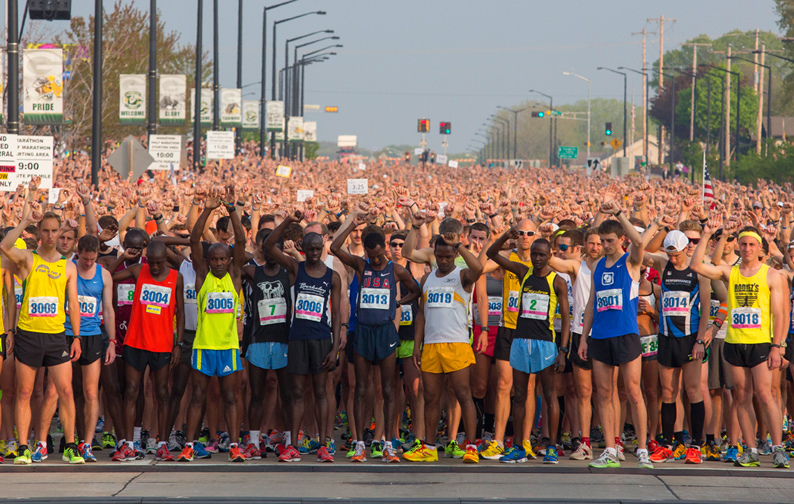 The marathon course starts in front of Lambeau Field on Lombardi Avenue and heads east toward the Fox River. Marathoners travel to the City of De Pere, over the Claude Allouez Bridge, and through the historic downtown business district. After a trip through De Pere neighborhoods and a brief stretch through the Town of Ledgeview, runners travel on a scenic, six-mile stretch on the Fox River Recreational Trail. 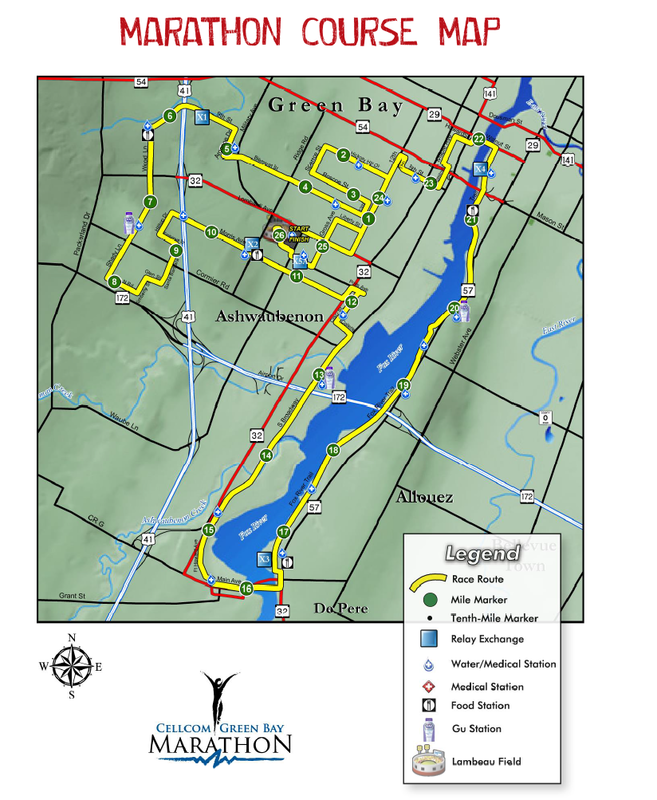 This asphalt trail runs along the river from De Pere, through Allouez, and into downtown Green Bay. Once in downtown, the course winds through the original home of the Green Bay Packers, City Stadium. On the return stretch, tree lined neighborhoods shelter the participants with shade before returning to the stadium grounds and a victory lap around the Lambeau Field bowl.